On the second floor of the recently-open Wenlifang Building on Ersha Island housed Thai Alley, a spacious restaurant commanding a view of the Pear River. 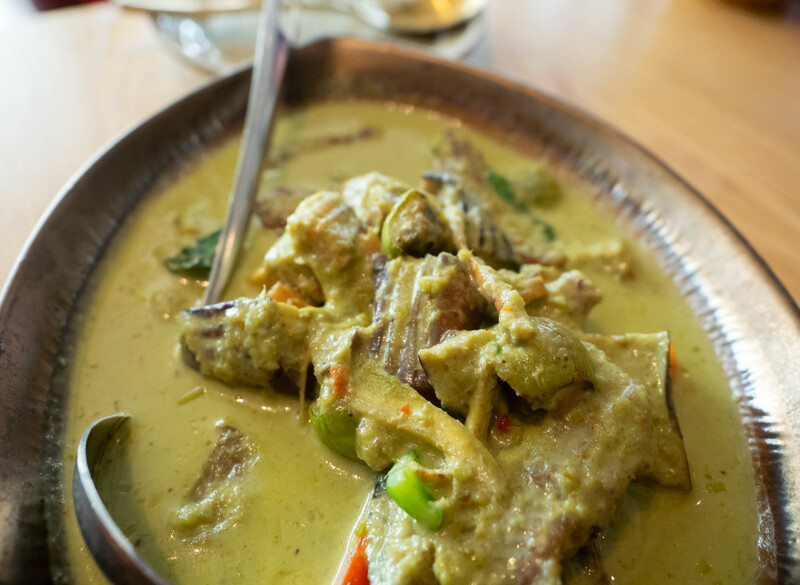 Thai Alley produces well executed Thai cuisine. Highlights from its extensive menu featuring dishes found across Thailand include the much-loved tom yum (RMB38/118), bu pad pong karee (yellow curry crab, RMB218), ko mu yang (grilled pork neck with spicy dipping sauce, RMB68) and pad thai (stir-fried rice noodle, RMB55).